Chestermere celebrated small businesses in the community and the risk takers behind them during the first-ever Small Business Week Chestermere from Oct. 14 until Oct. 19. “It benefits the community because it puts a spot light on our small businesses,” said City of Chestermere Manager of Economic Development Catherine Proulx. “When the business community does well, the entire community does well,” Proulx said. Earlier in the year, a survey was given out to the small business community that was conducted by the Chestermere Chamber of Commerce. 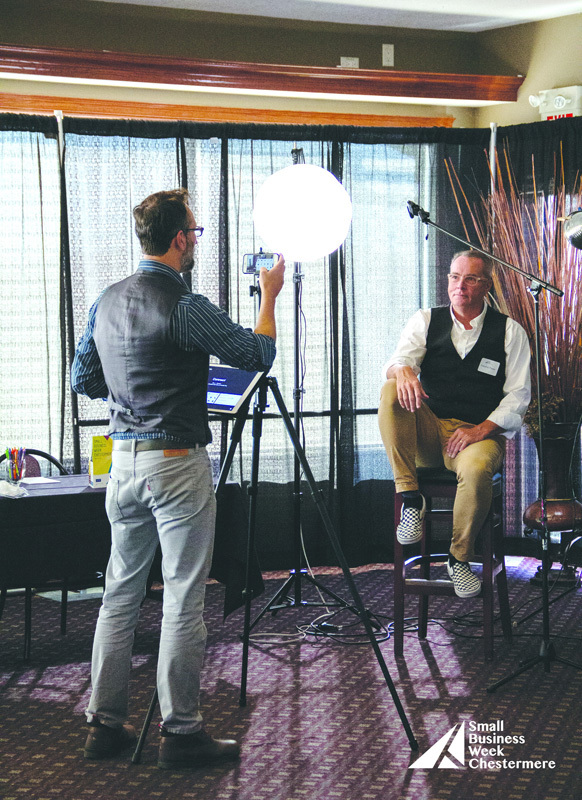 In the survey, business leaders were asked what they wanted from the Chestermere Chamber of Commerce, with specific questions revolving around education and professional development. “This is what they had asked for, the type of programming that had happened throughout the week,” Proulx said. “We put it all together into one week’s worth of programming, and planned it to be a Small Business Week, which is celebrated across the country,” she said. Throughout the week-long event, small business owners were able attend inspirational, and aspirational seminars, and participate in hands-on workshops and learn practical things they could apply to their businesses right away. “I think everybody was really happy with the overall quality of the content, as well as the variety of the content. We chose to put sessions on morning, afternoon and evening so there was a variety of times for people who had to work. “We did sessions on the future entrepreneur, people starting out, or considering becoming a business owner. We really tried to have a wide variety of content,” Proulx said. Small Business Week Chestermere is intended to support the residents, and to support the businesses in the community, Proulx said. Small Business Week Chestermere went really well. Since this was the first year, they didn’t know what to expect. However, Proulx added, now they have a better idea of what really interests business owners. “We tried to cover all the bases, in practice, you now see what people are willing to give up their time for,” Proulx said. 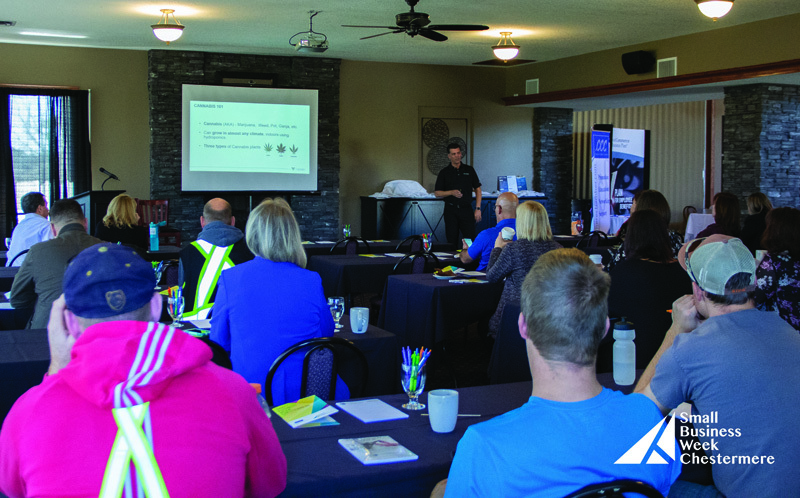 Proulx has been receiving feedback on the workshops and seminars offered throughout the week and will be applying the feedback for next year’s Small Business Week Chestermere. The people that participated in Small Business Week Chestermere were all engaged. Everybody in the community wants the business community to be successful, Proulx said. She added, “The Chestermere Chamber of Commerce is still very young, and to be in a position to be able to offer things like this is fantastic. It’s a good value to our business community, and we want them to see the chamber as being a provider of value. “We intentionally decided to not go after local small businesses for sponsorship or to provide door prizes, we didn’t ask any because this event was meant for them,” Proulx said.